Note: This ad message is also available in French and Hungarian. With any other languages, RetargetApp uses the ad message you set up for your regular campaign. Note: This tactic works exclusively on Facebook Mobile Newsfeed. Note: This ad message is also available in French. With any other languages, RetargetApp uses the ad message you set up for your regular campaign. Do I need to invest additional costs? No. Both auxiliary tactics work within the daily budget you set for your regular campaign. If there’s a need to increase your daily budget, your campaign manager will notify you. How do I enable these tactics? 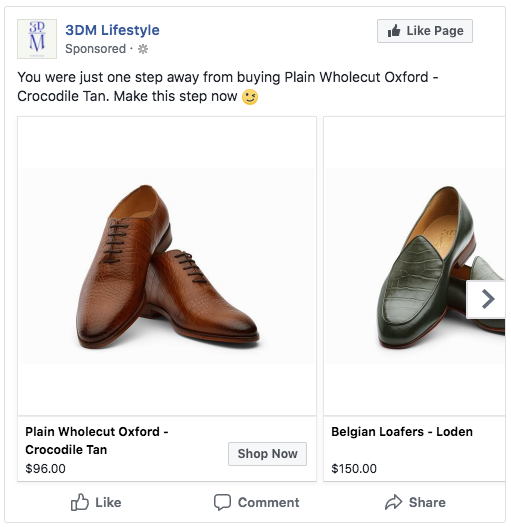 Both these tactics, along with regular retargeting, are already enabled for all users who have a daily budget of at least 20 USD/day or an equivalent in your local currency. They are paused when you pause your regular campaign from the app dashboard. The tactics are automatically optimized. How do I make changes to additional campaigns? In order to change ad message for either of the additional tactics, please, message us - we will gladly help you. Please, do not apply changes directly in Ads Manager - we need to make sure your campaign works properly, and therefore have to be aware of all the changes made to it. Where can I find the additional campaign results? Results of the two additional tactics are included into the total figures displayed on your RetargetApp dashboard. Just like with your regular campaign, you can find all the detailed insights inside your RetargetApp-powered ad account. All you need to do is go to your ad account and pick a proper ad set. This article will tell you more on how to make and export a comprehensive report on your campaign performance.